This module provides an easy way to create wood beams, joists, rafters, plates, hips and valleys, along with tags and beam schedule, using AutoCAD Architecture (ACA) or MEP, versions 2014 through 2020. This module provides not only the members, but also the MVBlock (tag), Property Set Definition, Schedule table style, and Display Configurations. Hips and Valleys can be easily created using a special input dialog to handle the calculation involved. Now includes Trusses too. All standard U.S. member types are provided, including lumber, I-Joists, LVL, PSL, and GLB members. The members created are actual ACA Structural Member objects, and standard ACA technology is used as the foundation for the tags and schedule as well, but with much enhancement. All this is contained in one dialog, accessed by one command. More detailed information can be found on the Wood Beams Help page. This module now provides an easy way to create a variety of commonly used trusses. They are created as ACA Structural Members comprised of the primary truss chords, for a reasonable representation of the building. More detailed information can be found on the Trusses Help page. 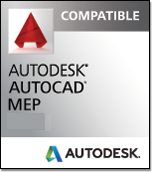 * If you do not have Wood Beams for AEC installed, this file will install the trial version. 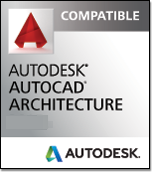 * If you have already purchased and authorized Wood Beams for AEC, this download will update you to the latest revisions. It will not cause you to revert to a trial version. *NOTE: Purchase of this product is done on a secure site. If you prefer not to make the transaction electronically, contact us for alternate arrangements.